47 miles - that's the number of miles I have to run in training until I run the Detroit Marathon. No I didn't run 47 miles - are you nuts? 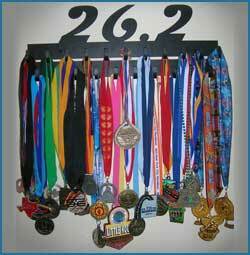 Don't forget, the contest ends Sunday for the Sport Hook medal hanger. If you haven't signed up, click HERE. 4:45am daily Ken - come join me?